*Learn this slide before you try to do a more complicated slide. 1. Sprint at full speed to the next base. · Don’t be afraid to get dirty. · Wear pants so that you don’t injure your legs. Consider wearing sliding pants or sliding shorts underneath your pants if you’re worried about being injured. 2. Start sliding about 4 steps away from the base. 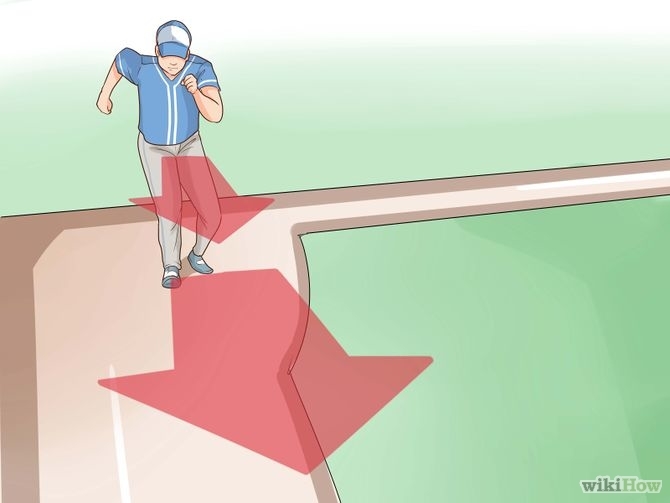 Start your slide by bending your knees. Shift your weight to the left side of your body. Bend your left knee and make the shape of a 4 by tucking your left leg underneath your right leg, which should be extended straight forward. Shift your weight to your left leg. 3. Lean back as you finish your slide. 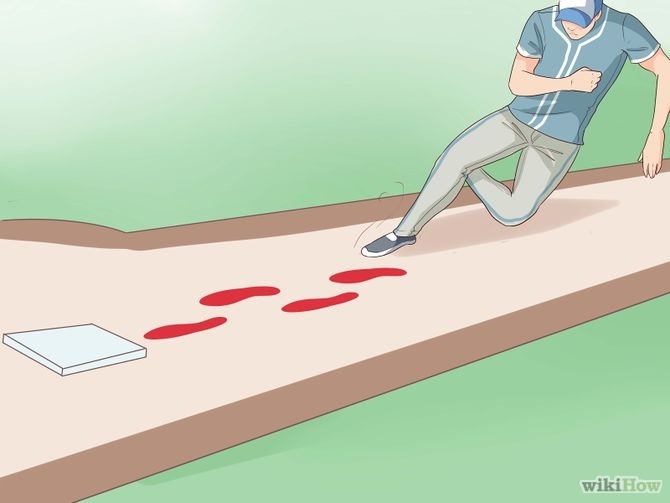 Don’t slide into the base in a sitting position. Keep your arms behind you and up. Let the momentum of your sprint propel you to the base. 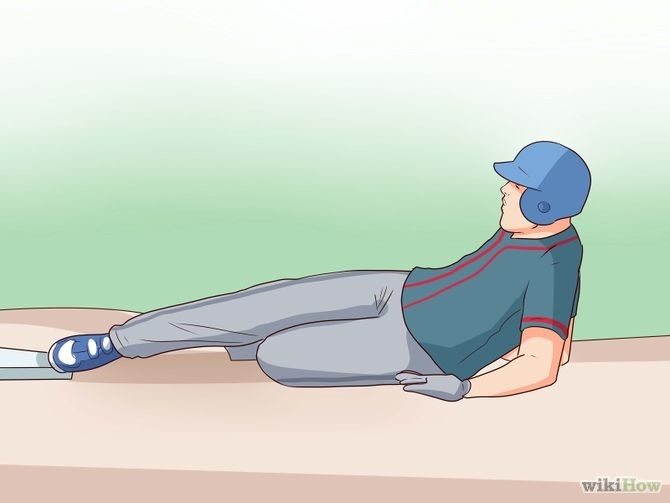 Touch the base with your right leg first.